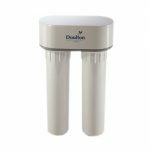 The DUO™ is a two stage drinking water filter system by Doulton® that can be fitted with a combination of water treatment cartridges and cleanable ceramic filters to treat a range of water conditions which gives you the flexibility to customize the system to your requirements. 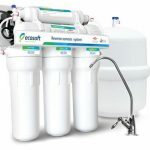 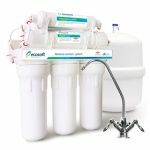 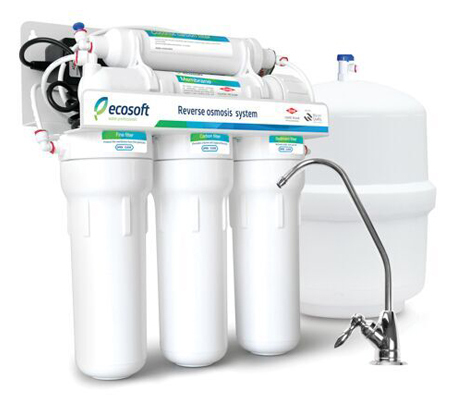 Five stages of water purification – two models available (with or without booster pump), suitable for under-sink household installations. Stage 1, 5 micron Sediment Filter; Stage 2, Granular Activated Carbon; Stage 3, 1 micron Sediment Filter; Stage 4, 50 gpd Filmtec RO Membrane; Stage 5, Coconut Shell Carbon Filter. 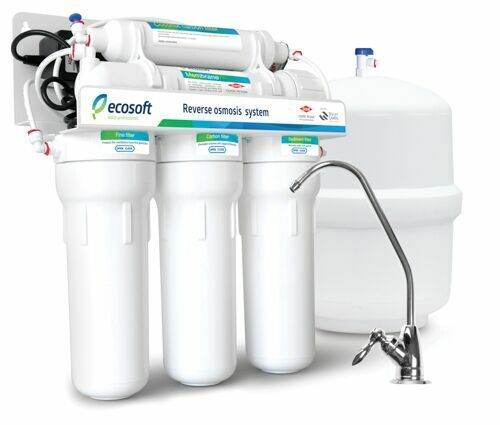 Six stages of water purification – two models available (with or without booster pump), suitable for under-sink household installations. 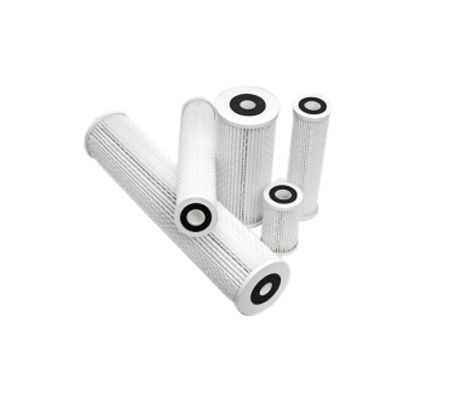 Stage 1, 5 micron Sediment Filter; Stage 2, Granular Activated Carbon; Stage 3, 1 micron Sediment Filter; Stage 4, 50 gpd Filmtec RO Membrane; Stage 5, Coconut Shell Carbon Filter; Stage 6, Re-mineralising Filter. 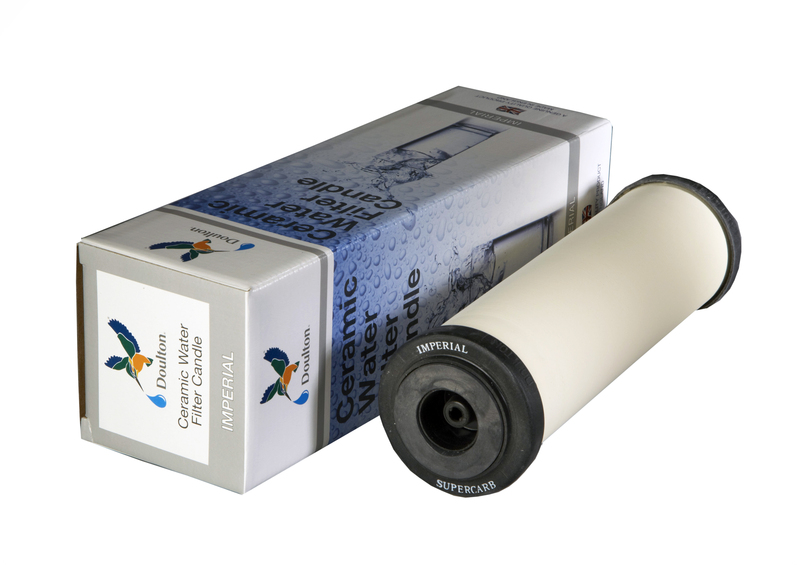 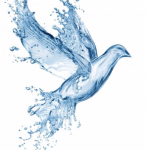 The Doulton® Supercarb® combines the highly efficient filtration properties of ceramic with the enhanced water treatment properties of activated carbon within a single cartridge. 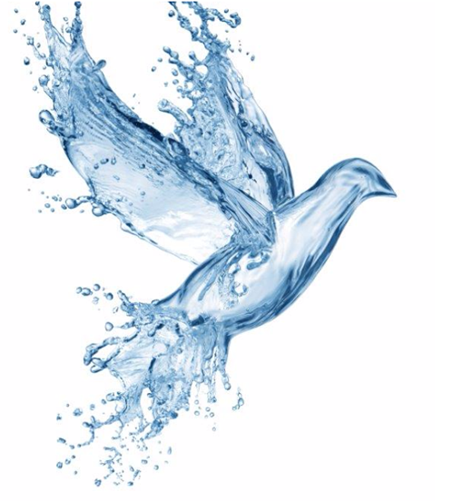 The primary function as with all the Doulton® ceramic elements is for the reduction of pathogens and cryptosporidium but has a secondary benefit in reducing chlorine and organics from water. 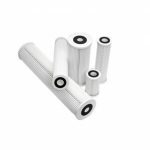 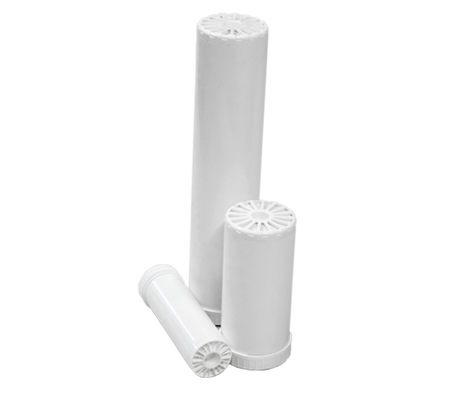 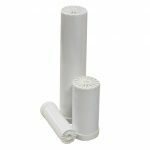 Fits standard 10″ filter housings. 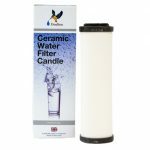 A quality product made in England. 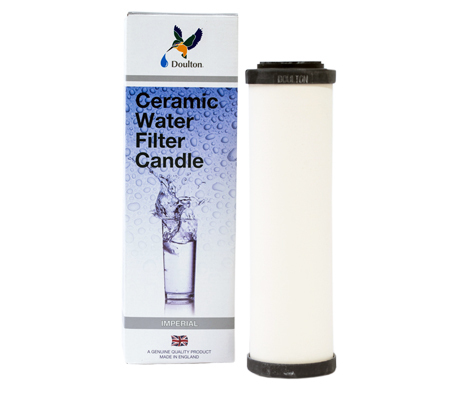 This filter cartridge made in the USA, using activated alumina which has been specifically prepared for the reduction of fluorides. 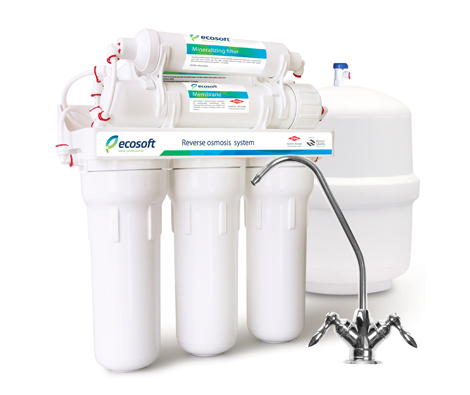 Manufactured from FDA approved materials, laboratory tests show the capability of fluoride reduction from 10ppm to below 0.2ppm (flow rate dependant). 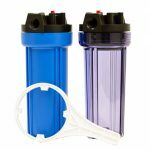 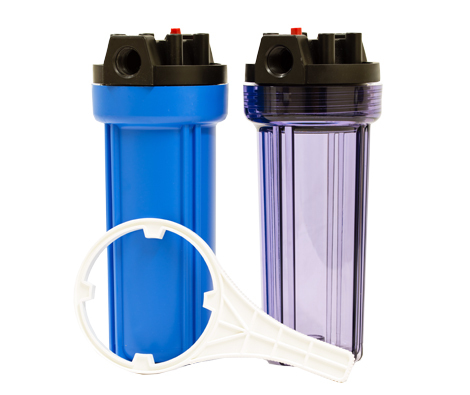 This speciality cartridge fits standard and large diameter filter housings. 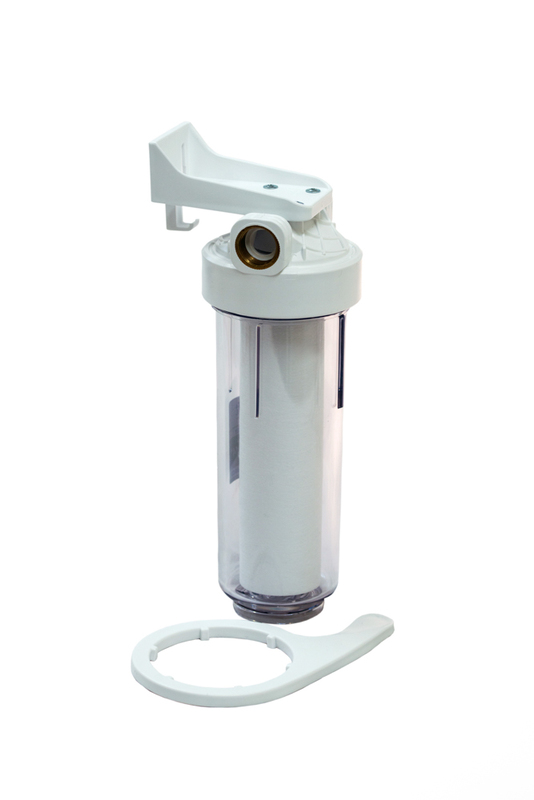 10″ Clear Housing manufactured from European Food Grade Polypropylene, already mounted with bracket complete with spanner available with ½” or ¾” brass ports; ideal for under counter water filters. 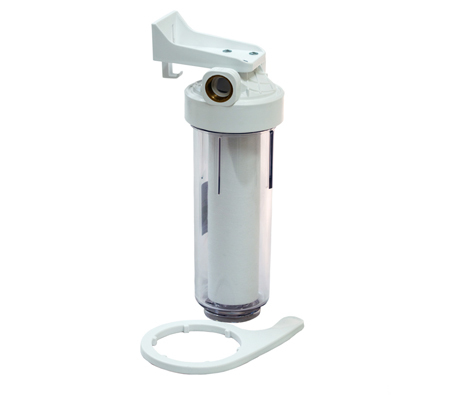 This housing is one of J&F’ fastest moving products. 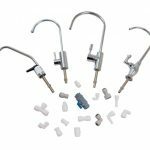 For convenient installations we carry a large stock of fittings along with a range of ¼”, ⅜” and ½” tubing in a variety of colours. 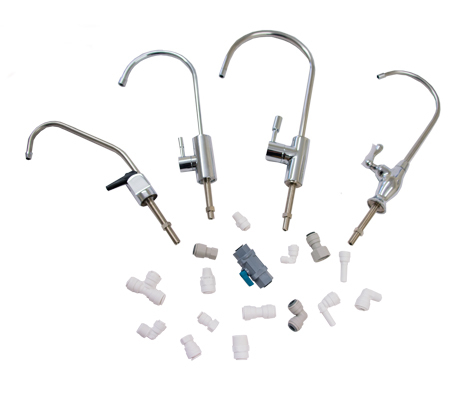 NSF® certified designer taps with classic swan neck or modern long reach. 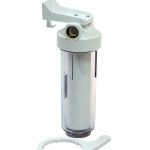 Long or short cylinder swan necks available in chrome or brushed nickel finish are also stocked in our warehouse for immediate despatch.